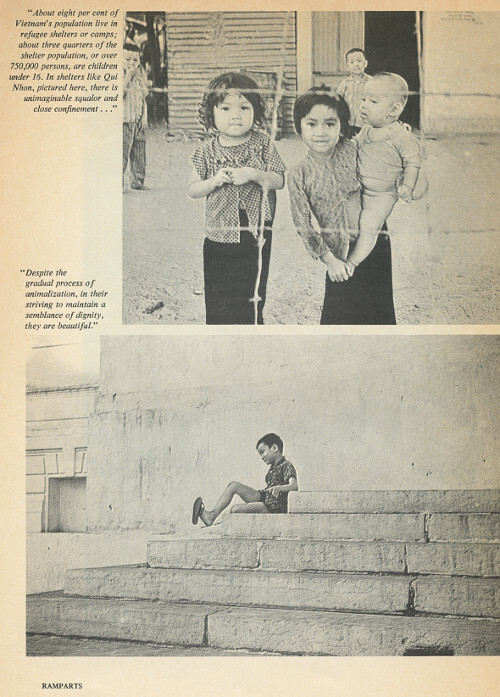 The Photographic Essay by William Pepper on the Children of Vietnam that Martin Luther King first saw on January l4, l967. 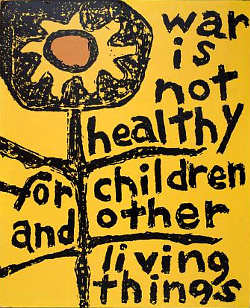 How Will We Challenge Militarism, Racism, and Extreme Materialism? This is an exposition of the photographic essay by William Pepper about the children of Vietnam that Martin Luther King first saw on January l4, 1967. Initially, while he hadn’t had a chance to read the text, it was the photographs that stopped him. Pepper’s essay contains the most powerful creative energy on earth: truth force. It is as relevant 50 years later as it was in 1967. Martin Luther King steadfastly exhorted all to confront and grapple with the triple prong sickness—lurking within the U.S. body politic from its inception—of racism, extreme materialism, and militarism. All of us in the United States are the ones best positioned to challenge the destructiveness of the three prong sickness destroying our civilization and the Earth, and change direction towards affirming life in all its variations and sacredness. We have choices and power here that the majority of humanity do not enjoy. The choice and the power resides with us. And the choice to recognize that power, and take responsibility for it to make this into a world where all of us can live together in peace and fellowship, sits right here. 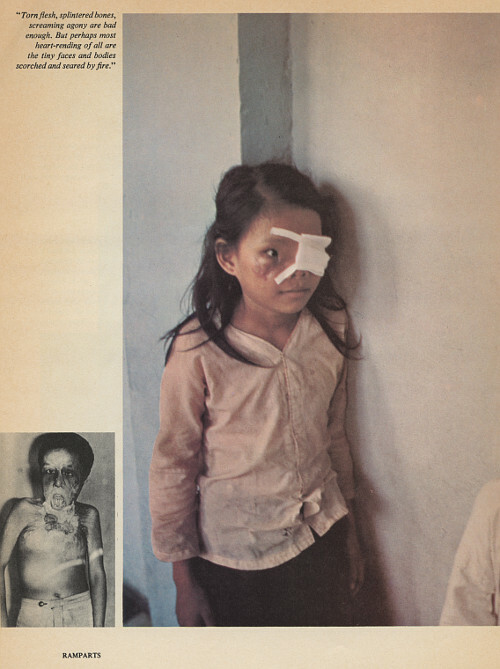 This searing essay presented vital historical truth of the toll the U.S. war in Vietnam was taking both physically and psychically on that country’s children. At the time Pepper was executive director of the New Rochelle Commission on Human Rights, an instructor in Political Science at Mercy College in Dobbs Ferry, New York, and director of the college’s Children’s Institute For Advanced Study and Research. On leave of absence in the spring of 1966, he spent six weeks in Vietnam as a correspondent accredited by the Military Assistance Command in that country, and by the government of Vietnam. His primary concern was the effects of the war on women and children, the role U.S. voluntary agencies performed, and the work of the military in civil action. 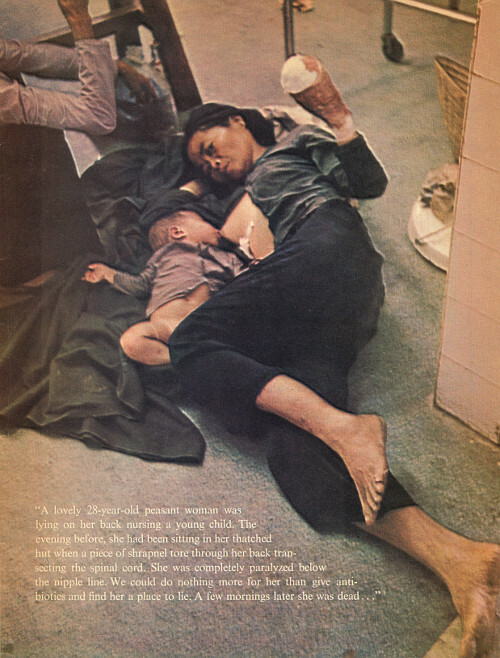 The time period in which “The Children of Vietnam” was written included a wide-spread and expanding anti-war movement that increased pressure on the U.S. federal government which finally ended its war in Vietnam in 1973. It might have ended it in 1968 had Presidential candidate Richard Nixon not committed treason by secretly offering the North Vietnamese a better deal if they waited until after he won the November election. Vincent Browne: Your father of course was very close to John F Kennedy… Some of our viewers may not know this, John Kenneth Galbraith was a very famous American. He was an economist, and a brilliant economist at that, but he also was well known generally. He became the ambassador to India, appointed to India by John Kennedy in 1961, and was quite close to Kennedy. Though why he was sent so far away to India, what he thought, I wonder. On October 11, 1963, President Kennedy issued a top-secret order to begin withdrawing the U.S. military from Vietnam. In National Security Action Memorandum 263, he ordered that 1,000 U.S. military personnel be withdrawn from Vietnam by the end of 1963, and that the bulk of U.S. personnel be taken out by the end of 1965.Kennedy decided on his withdrawal policy, against the arguments of most of his advisers, at a contentious October 2 National Security Council meeting. When Defense Secretary Robert McNamara was leaving the meeting to announce the withdrawal to the White House reporters, the President called to him, “And tell them that means all of the helicopter pilots, too.” Everybody is going out. Over three million Vietnamese, Laotians, and Cambodian as well as 58,000 U.S. American lives were lost as a direct result of the assassination of the 35th President. The war that would finally end in 1973 was being put on rails to end ten years earlier. Collectively, U.S. state actors, academicians, and media personnel have not yet confronted, much less acknowledged, the truth concerning our history of this timeline. The final chapter of Martin Luther King’s life began on January 14, 1967, the day on which King committed himself to deepening his opposition to the Vietnam War. He was at an airport restaurant on his way to a retreat in Jamaica. 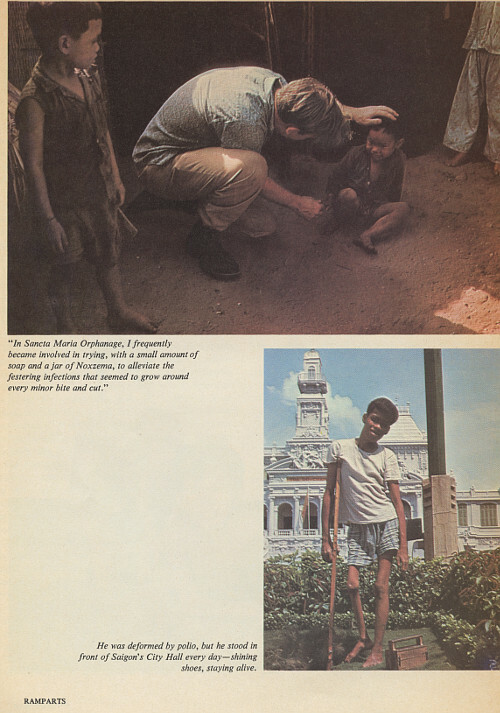 While looking through magazines, he came across an illustrated article in Ramparts, “The Children of Vietnam”. 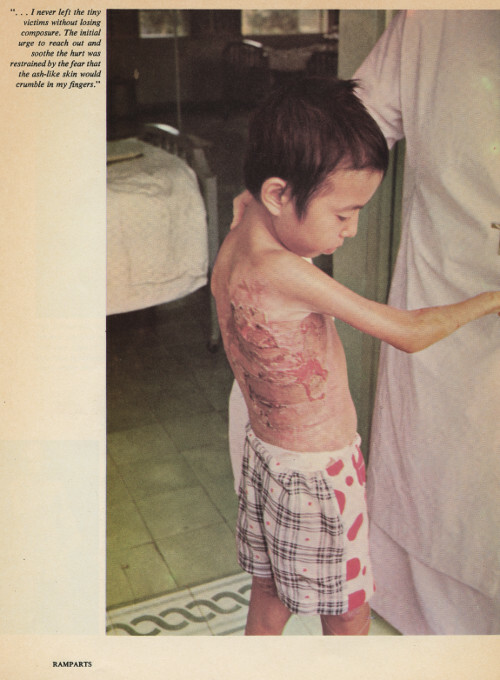 His coworker Bernard Lee never forgot King’s shock as he looked at photographs of young napalm victims. Then he asked to meet with me and asked me to open my files to him that went well beyond what was published in the Rampartspiece in terms of photographs. Some of you probably saw, if you’re old enough to remember, a number of those photographs. Portions of them used to appear on lampposts and windows of burned and deformed children. That was what gave him pause. He hadn’t had a chance to read the text at that point but it was the photographs that stopped him. Martin would have to be somewhat domesticated in order for the country to deal with him because he was…calling us to give up for instance on the whole experience and teaching and living of white supremacy, calling us to move away from the great levels of materialism that have always been so much a threat to our humanity and the humanity of others…. Almost never in most of the [national holiday] celebrations is there any lifting up of his powerful statement against the war and against the machinery of war and against militarism and against our temptation to live as a new kind of imperial power in the world. He was deformed by polio, but he stood in front of Saigon’s City Hall every day—shining shoes, staying alive. Are we, too, now frightened by people who organize unkempt and unrespectable folks to struggle for peace and justice here and abroad, who now take risks to do for escaping Central Americans what the Underground Railroad did for us—while we stand back, as far back as possible? 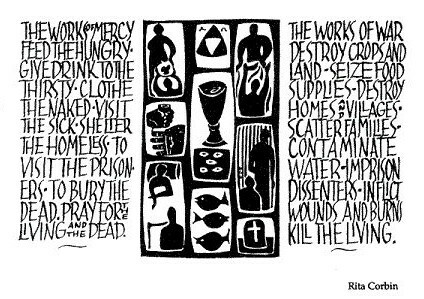 Are we, too, now frightened in our respectable blackness by all the strange folks who, with King, really believe the way of love is more faithful to Jesus of Nazareth than the well-paid “defense” occupations of war-making, war-thinking, war-threatening, and death? Do we, too, mock democracy each time we back away, each time we fail to participate actively in the struggles for the transformation of our institutions and of this nation, in the defense of the poor, in the protection of the environment, in the questioning of our political leaders, in the teaching of ourselves and our children who the hero really was—and who he, and we, may yet become?…. Early in his movement toward us, back in the 1950s, he was sensing what he saw, saying, “I still believe that standing up for the truth of God is the greatest thing in the world … come what may.” And for those of us who are getting ready, what truth of God could be greater than the truth of our rich, unexplored human possibilities, our fundamental oneness, our essential union with all life, and our responsibility to live out that truth, politically, economically, socially, spiritually, ecologically, culturally—come what may—against all the systems of separation, dehumanization, and exploitation which deny “what the living may become”? The questions demanding our response abilities remain. They will not go away. To respond to them may appear to run the gamut from seemingly difficult to impossible. And yet, for our fellow human beings we share this earth with, whose lives have been forever changed by our country’s prosecution of the wars that have ravaged themselves, their loved ones, and their land—and by the demands of capital and its accumulation that has stolen the raw material resources from their land to further pad the Fortunes of the Five Hundred and of the One Thousand—the challenges the poor of the world confront are countably infinite more difficult to respond to than what the majority of we here in the United States face. We have choices and power here that the majority of humanity do not enjoy. The choice and the power resides with us. And the choice to recognize that power, and take responsibility for it, and make this into a world where all of us can live together in peace and fellowship, sits right here. The stories by which we can understand Martin Luther King and John Kennedy are biblical. Martin Luther King, like John the Baptist in the Fourth Gospel, came as a witness to testify to the light of agape coming into our world—the light of truth and nonviolence which enlightens everyone. He testified to agapemade flesh in justice for the oppressed and love for the enemy. He testified to the possibility of agape made flesh in a new America. John F. Kennedy was raised from the death of wealth, power, and privilege. The son of a millionaire ambassador, he was born, raised, and educated to rule the system. When he was elected President, Kennedy’s heritage of power corresponded to his position as head of the greatest national security state in history. But Kennedy, like Lazarus, was raised from the death of that system. In spite of all odds, he became a peacemaker and, thus, a traitor to the system…. 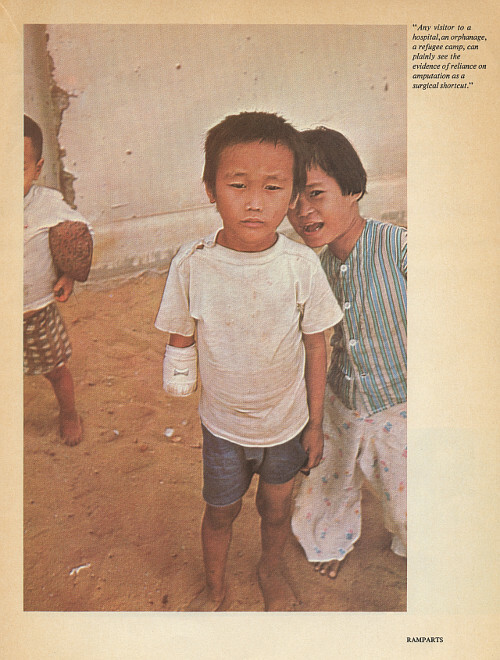 William F. Pepper, “The Children of Vietnam,” Ramparts, January 1967, pp. 45-68. From David Swanson, “PBS’s Vietnam Acknowledges Nixon’s Treason,” Let’s Try Democracy, October 11, 2017:I want to call particular, and grateful, attention to one item that the PBS film does include, namely Richard Nixon’s treason. Five years ago, this story showed up in an article by Ken Hughes, and others by Robert Parry. Four years ago it made it into The Smithsonian, among other places. Three years ago it gained notice in a corporate-media-approved book by Ken Hughes. At that time, George Will mentioned Nixon’s treason in passing in the Washington Post, quite as if everyone knew all about it. In the new PBS documentary, Burns and Novick actually come out and state clearly what happened, in a manner that Will did not. As a result, a great many more people may indeed actually hear what happened. Published in Foreign Relations of the United States, 1961-1963, Volume IV: August-December 1963 (Washington, U.S. Government Printing Office, 1991), Document 194.National Security Action Memorandum No. 263, October 11, 1963, pp. 395–396. Source: Department of State, S/S-NSC Files: Lot 72 D 316, NSAMs. Top Secret; Eyes Only. The Director of Central Intelligence and the Administrator of AID also received copies. Also printed in United States-Vietnam Relations, 1945-1967, Book 12, p. 578.NSAM #263 though very brief, initiated what President Kennedy had begun to implement for withdrawing U.S. military forces from Vietnam. Although short, this memorandum directly refers to and builds from the Taylor/McNamara Report (Document 167) as well as Documents 179 and 181. Document 167. Memorandum From the Chairman of the Joint Chiefs of Staff (Taylor) and the Secretary of Defense (McNamara) to the President, October 2, 1963, pp. 336–346. Source: Kennedy Library, National Security Files, Vietnam Country Series, Memos and Miscellaneous. Top Secret. Document 179. Memorandum for the Files of a Conference With the President, October 5, 1963, pp. 368–370. Source: Kennedy Library, National Security Files, Vietnam Country Series, Memos and Miscellaneous. Top Secret. Document 181. Telegram From the Department of State to the Embassy in Vietnam, October 5, 1963, pp. 371–379. 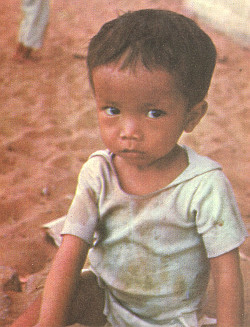 Source: Source: Department of State, Central Files, POL 15 S VIET. Top Secret; Immediate Prepared by Hilsman with clearances of Harriman and Bundy. Cleared in draft with Rusk and McNamara. Regarding the drafting of this cable, see Document 179. Repeated to CINCPAC for POLAD exclusive for Felt. Kenneth P. O’Donnell and Dave F. Powers with Joe McCarthy, Johnny, We Hardly Knew Ye; Memories of John Fitzgerald Kennedy (Boston: Little Brown, 1970), p. 17. Full transcript: Jim Douglass on The Hope in Confronting the Unspeakable in the Assassination of President John Fitzgerald Kennedy, Keynote Address at The Coalition on Political Assassinations Conference, 20 November 2009, Dallas, Texas. See Selected Writings of John Judge, ratical.org. Kenn Thomas from the Foreword, Judge for Yourself: A Treasury of Writing by John Judge (Say Something Real Press, 2017), p. vi. Transcript of film: John Judge: September 11 Critical Analysis, Kane Hall, University of Washington, Seattle, 16 February 2002. Transcript: William F. Pepper: An Act of State – The Execution of Martin Luther King, Talk at Modern Times Bookstore, San Francisco, 4 February 2003. Jim Douglass, A Letter to the American People (and Myself in Particular) On the Unspeakable; first published in Fair Play Magazine, 1999, extended on ratical.org, 2012. Bernard Lee quoted in David Garrow, Bearing the Cross: Martin Luther King, Jr., and the Southern Christian Leadership Conference (New York: Vintage Books Classics, 1988), p. 543. For an account of his final year see: Ratcliffe, “50 Years Ago: Riverside Church and MLK’s Final Year of Experiments With Truth,” rat haus reality press, April 4, 2017. Vincent Salandria, Chapter 18. Notes on Lunch with Arlen Specter, False Mystery – Essays on the JFK Assassination (rat haus reality press: Boston, 2017). Transcript: Jim Douglass, Conclusion, COPA 2009 Keynote Address. Neta C. Crawford (Boston University), US Budgetary Costs of Post-9/11 Wars Through FY2018: $5.6 Trillion, COSTS OF WAR, Watson Institute International & Public Affairs, Brown University, November 2017. Summary Article: Costs of War: “U.S. spending on post-9/11 wars to reach $5.6 trillion by 2018,” Brown University, RI, November 7, 2017. Film: Vincent Harding – The Inconvenient Hero, Martin Luther King (8:26), Ikeda Center, November 11, 2010. The complete transcript of the recording:Dr. Harding, why do you call Martin Luther King the inconvenient hero? Harding, The Inconvenient Hero, p. 28. Concerning the Poor People’s Campaign and mobilization that was being planned by Martin Luther King to commence in the spring of 1968 in the nation’s capital, his commitment was to bring 500,000 people to Washington culminating in an encampment in the shadow of the Washington Memorial, to force the United States government to abolish poverty (see An Act of State, p. 7). In a lecture transmitted over the Canadian Broadcast Corporation radio network in late 1967, Martin King expressed his vision first of a national and then a global nonviolent revolution against the increasing concentration of financial wealth in the U.S. corporate empire state and its encompassing military power. Nonviolent protest must now mature to a new level to correspond to heightened black impatience and stiffened white resistance. This higher level is mass civil disobedience. There must be more than a statement to the larger society; there must be a force that interrupts its functioning at some key point. That interruption must not, however, be clandestine or surreptitious. It is not necessary to invest it with guerrilla romanticism. It must be open and, above all, conducted by large masses without violence. If the jails are filled to thwart it, its meaning will become even clearer…. Coretta Scott King, My Life With Martin Luther King, Jr., Holt, Rinehart and Winston, 1969, p. 327. Thomas Merton, Cold War Letters, (Maryknoll, N.Y.: Orbis Books, 2006), p. 43. Jim Douglass, “The Assassinations of Martin Luther King and John F. Kennedy in the Light of the Fourth Gospel,” Sewanee Theological Review 42:1 (1998), The School of Theology, University of the South, Sewanee, Tennessee, pp. 26-46. Ibid. p. 45. “Why are there forty million poor people…” from Martin Luther King, “Where Do We Go From Here?,” Delivered at the 11th Annual SCLC Convention Atlanta, GA, Aug 16, 1967. The Assassinations of Martin Luther King and John F. Kennedy, p. 42. Transcript, audio of Address before the 18th General Assembly of the United Nations, Sep 20, 1963. The Assassinations of Martin Luther King and John F. Kennedy, p. 46. A few of many pro-active, peacemaking, war resisting sources are listed below. Recommendations for helpful additional sources are always welcome. Earth GuardiansThe mission of Earth Guardians is to grow a resilient movement with youth at the forefront by empowering them as leaders and amplifying their impact. Now with thousands of engaged youth on six continents, Earth Guardians has given youth a voice and direction worldwide in order to become effective leaders and make measurable change in their communities. Earth Guardians is developing the resources to build a stronger collaborative network and cultivate this large wave of youth engagement. Courage To Resistsupports the troops who refuse to fight, or who face consequences for acting on conscience, in opposition to illegal wars, occupations, the policies of empire abroad and martial law at home. Our People Power strategy weakens the pillars that perpetuate these causes of immense violence. By supporting military resistance, counter-recruitment, and draft resistance, we intend to cut off the supply of troops for war, while pledging resistance to the policies of hate, repression, and the militarization of policing domestically. We are autonomous from and independent of any political organization, party or group. National Coalition to Protect Student Privacyworks to prohibit the automatic release of student information to military recruiting services gathered through the administration of the Armed Services Vocational Aptitude Battery (ASVAB) Career Exploration Program in high schools across the country. The organization works to safeguard student privacy from the Pentagon’s predatory recruitment practices. National Network Opposing the Militarization of Youth (NNOMY)is a national networking body that brings together national, regional and local organizations to oppose the growing intrusion of the military in young people’s lives. Project YANO, the Project on Youth and Non-Military Opportunitiesprimarily serves young people who are looking for job training, wish to go to college or want to make a difference in other people’s lives—but they might not see enough opportunities to pursue these goals. We also work with educators and others who advise young people, and we support youths who are using activism to change their lives, their communities and the larger world they are part of. Vietnam Full Disclosure CampaignVietnam: Full Disclosure campaign organizers have established a google group to help build momentum within the nationwide movement of truth telling leading up to the 50th anniversary of the end of the U.S. war in Vietnam. 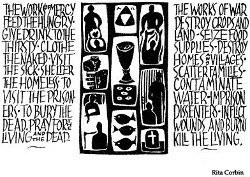 American Friends Service CommitteeThe American Friends Service Committee (AFSC) is a Quaker organization that promotes lasting peace with justice, as a practical expression of faith in action. Drawing on continuing spiritual insights and working with people of many backgrounds, we nurture the seeds of change and respect for human life that transform social relations and systems. Our work is based on the belief in the worth of every person, and faith in the power of love to overcome violence and injustice. World Beyond WarWorld Beyond War is a global nonviolent movement to end war and establish a just and sustainable peace; to create awareness of popular support for ending war and to further develop that support; to advance the idea of not just preventing any particular war but abolishing the entire institution. We strive to replace a culture of war with one of peace in which nonviolent means of conflict resolution take the place of bloodshed. Study war no more – A Concerned Citizens Study & Action Guide Encourages learning, reflection, visioning and action toward the development of a “A Global Security System: An Alternative to War.” Developed, produced and maintained by World Beyond War in partnership with the Global Campaign for Peace Education, this discussion and action guide is intended for those concerned with pursuing alternative possibilities to the general futility of war as a means to pursuing peace. It provides guided inquiries for students and citizens to understand the nature of “the war system” and the possibilities for its transformation to an authentic “global security system” pursued via peaceful means. 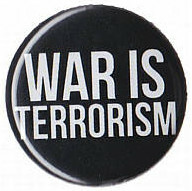 World Beyond War is a global nonviolent movement to end war and establish a just and sustainable peace. The Global Campaign for Peace Education builds public awareness and political support for the introduction of peace education into all spheres of education, including non-formal education, in all schools throughout the world. A Global Security System: An Alternative to War (AGSS) 2017 editionThis report is based on the work of many experts in international relations, peace building and peace studies and on the experience of many activists. This 3rd edition reflects new thinking and insights as well as the feedback from readers and partners. This is not just another report, but a living document that we will continually seek to improve. New in this edition is an analysis of Trump’s foreign policy agenda; updated and new data on peace economics and military spending; and new or updated sections including the business of peace building, demilitarizing security, multi-track diplomacy framework to peacemaking, and many other additions. Mayors for PeaceThe Mayors for Peace, through close cooperation among the cities, strives to raise international public awareness regarding the need to abolish nuclear weapons and contributes to the realization of genuine and lasting world peace by working to eliminate starvation and poverty, assist refugees fleeing local conflict, support human rights, protect the environment, and solve the other problems that threaten peaceful coexistence within the human family. At present, the Conference is composed of 7,514 cities in 162 countries and regions around the world. Women’s International League for Peace & FreedomThe Women’s International League for Peace and Freedom (WILPF) is an international non-governmental organisation (NGO) with National Sections covering every continent, an International Secretariat based in Geneva, and a New York office focused on the work of the United Nations (UN). Since our establishment in 1915, we have brought together women from around the world who are united in working for peace by non-violent means and promoting political, economic and social justice for all. Our approach is always non-violent, and we use existing international legal and political frameworks to achieve fundamental change in the way states conceptualise and address issues of gender, militarism, peace and security. Our strength lies in our ability to link the international and local levels. We are very proud to be one of the first organisations to gain consultative status (category B) with the United Nations, and the only women’s anti-war organisation so recognised.